After about three months on hiatus, during which we re-purposed one of the rooms in our house as a studio for the show and renovated it from top to bottom, we’re back with a new episode of Ligia’s Kitchen! It’s a recipe for Kombucha Tea, a delicious probiotic beverage that will replenish your body with a much-needed enzyme and vitamin soup. 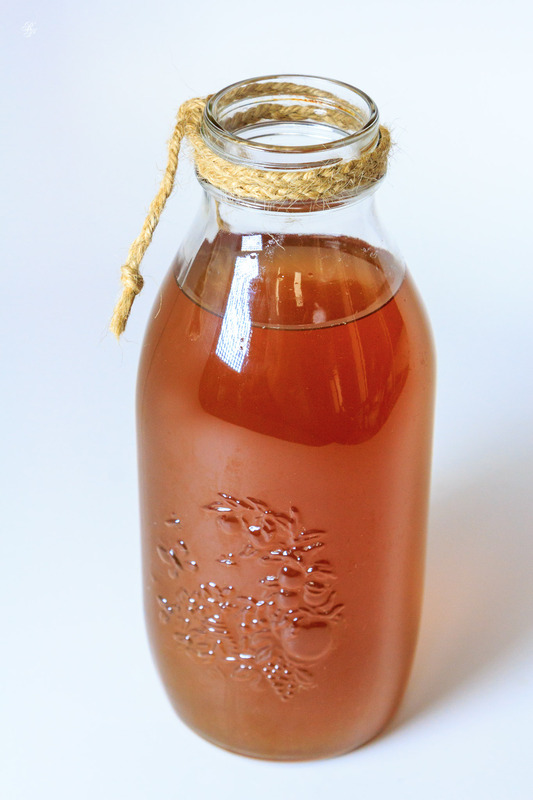 You can grow Kombucha in your pantry (it needs a dark, not-too-cold place to grow) and if you’re good to it, you can have a Kombucha colony, so you’ll always have fresh Kombucha on hand should you want it (and you will want it). Don’t forget to turn on the subtitles (use the CC button) for this video, because we recorded it in Romanian. We’ll be back to English starting with the next episode. What does it taste like? I drink lots of tea, but no sugar. It doesn’t have a sugary taste. It’s slightly carbonated and citrusy, not sugary. Try it, surely you can get some kombucha tea ready-made somewhere.